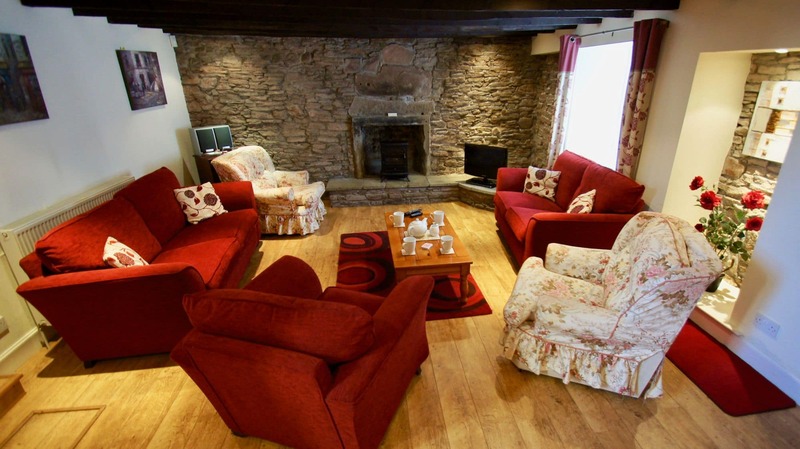 A large self catering holiday home with four twin bedrooms and three bathrooms offering flexible accommodation for groups or families. 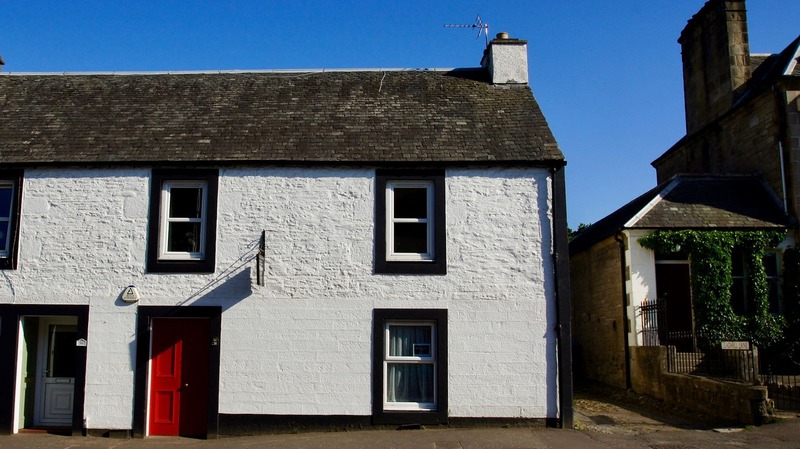 This holiday home has history in Perthshires “Lang Toon” the longest street in Scotland at over a mile, with cafes, restaurants, supermarket, butcher and baker all within walking distance, you can want for no more except the local Auchterarder golf club maybe that welcomes all visitors. Experience the beautiful rolling countryside of Strathearn on days out or visit the world famous Gleneagles resort a short drive away. Further away are the cities of Perth, Stirling, Glasgow and Edinburgh all boast many historical buildings and sites and offer a great shopping experience. Situated in Leadmill Lane which once led to a factory that manufactured lead shot, The Armoury has also been a tavern in its time. 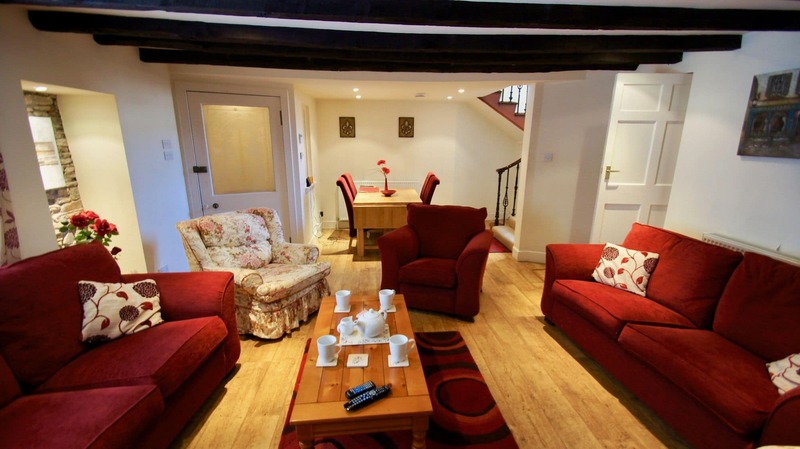 It is a spacious house with many original features, beautifully converted to modern living. Situated on the East end of the High Street, next to a well known restaurant, Jon and Fernandas nothing could be easier than to slip next door for a delicious supper. The parish Church is situated next to the restaurant. There is a very nice cafe, Indulge, nearby where you can enjoy home made lunches, excellent coffee and wonderful home bakes. Parking is free, on the High Street, away from the main shopping part of the town. 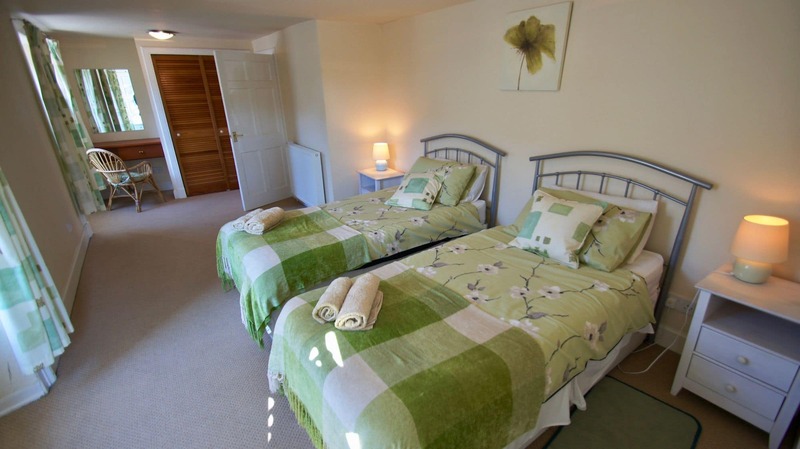 A very spacious self catering accommodation ideal for a large family. The sitting room with wooden floor and feature fireplace is particularly welcoming. Eat in the dining area of the sitting room or use the refectory-type pine table in the bright spacious kitchen. The utility area beyond is excellent for storing boots and golf clubs. And if the weather is fine, enjoy a glass of wine or outdoor meal on the secluded south facing patio. 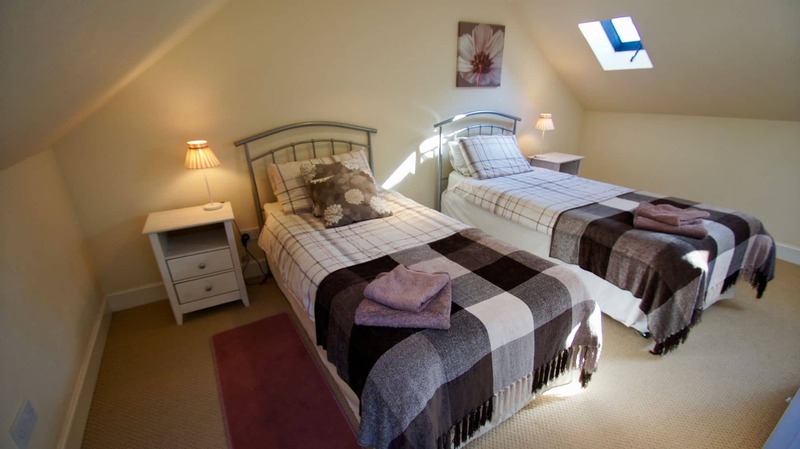 Each of the bedrooms has twin beds and the bathrooms and shower are tiled and well fitted out. ​The town of Auchterarder, quite apart from its unique shops, is famous for its proximity to The Gleneagles Hotel and Golf Courses, which are 2 miles away, and Auchterarder Golf Club at 1 mile. Known as ‘The Lang Toon’, Auchterarder has the distinction of being Scotland’s oldest Burgh. This is an excellent base, whether you like to golf on the 40 or so Courses in Perthshire, fish, walk, visit Whisky distilleries, go to concerts, or eat in some of the highly rated restaurants nearby or just relax. The Armoury is only a 20-minute drive from historic Stirling Castle, The Wallace monument, The Bannockburn Centre and Perth where you can visit Scone Palace, the Black Watch Regimental Museum. Just one hour from all the facilities of Edinburgh and Glasgow.